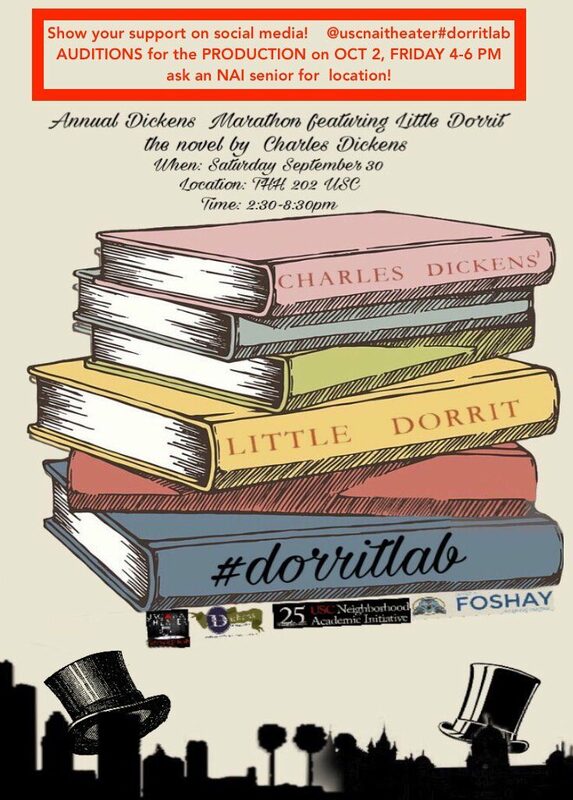 It’s a page-turning extravaganza—sixty teens and six hours of reading in South LA! 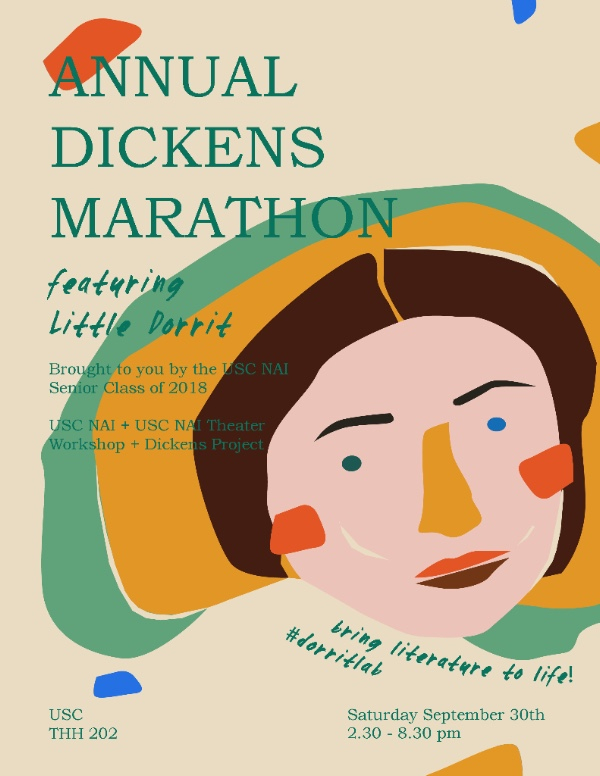 Support the USC NAI and Foshay seniors as they launch their study of Charles Dickens’ novel Little Dorrit (1855-7) at the Annual Dickens Marathon at USC. Drop by, tweet support, follow our progress!